This high-waisted legging features an athletic stretch jersey build with prominent color stripes down each leg. Equally wearable at the gym or on the town. Details: Stretch jersey - 95% cotton and 5% spandex, Fila linear logo at hip, colorblocked side panels. Material: Cotton, Spandex. Opened in 1911 in Biella, Italy, Fila was opened by brothers who were dedicated to using the best materials to create the best products. Today, we celebrate over a century of Fila, and we are well acquainted with the Fila brand and everything they have to offer, from shoes and socks to pants, hats, tops, and so much more. 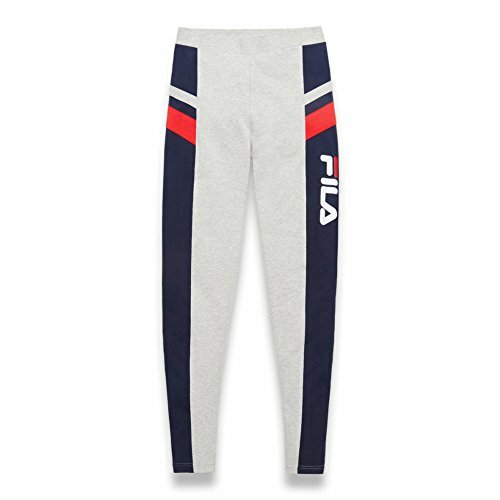 If you have any questions about this product by Fila, contact us by completing and submitting the form below. If you are looking for a specif part number, please include it with your message.